Jeffrey Baliban is an economist and Certified Public Accountant whose practice has, for nearly 40 years, focused on resolving complex commercial disputes. 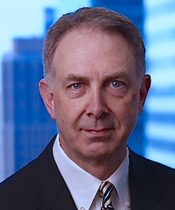 His clients have come to include a diverse group of corporations and their counsel who retain him to value businesses, measure loss of business profits or value, calculate unjust enrichment, or provide an independent measure of expectation, reliance, restitution, statutory, and/or punitive damages. He has, on numerous occasions, provided testimony as an expert witness in accounting, economic, valuation, and other finance matters in various federal and state jurisdictions as well as in arbitrations. Mr. Baliban has also directed many forensic accounting investigations with regard to fraud issues, SEC compliance, Department of Justice investigations, Ponzi schemes and heavy commercial and industrial business interruption claims. He has experience in a wide variety of industries including banking and financial services, insurance and re-insurance, manufacturing, retail, telecom, petrochemical and energy, healthcare, Pharma, real estate, entertainment, and many others.